Dementia: and “One More Thing…”! OK, dementia is such a huge topic that once I get started on it, I always think of “one more thing…”! So, as a follow up to my last blog post where I elaborated on the various forms of dementia, here’s my latest, “one more thing”…. 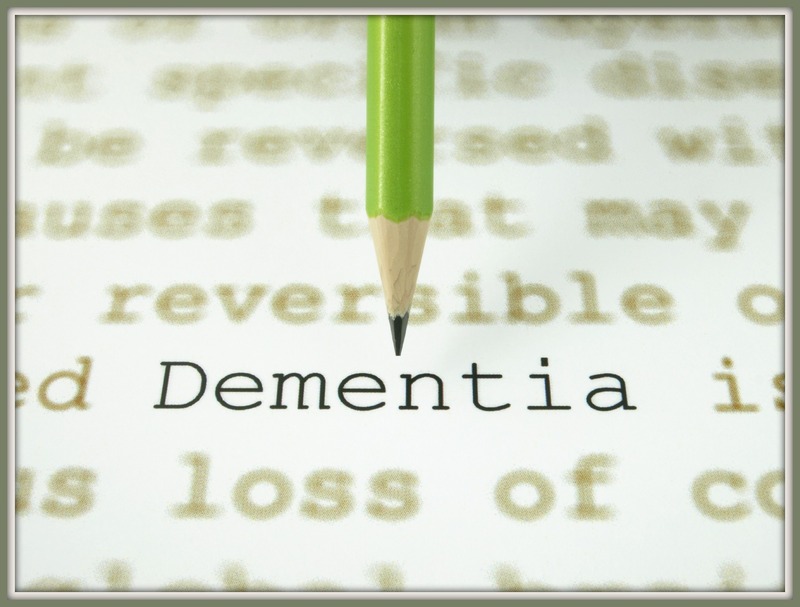 What should you consider doing when you observe the very first sign of memory loss in an elder loved one; if you receive a formal diagnosis of dementia from a gerontology focused medical professional? Remember, dementia’s are regressive chronic illnesses. The memory loss will continue at an unknown and unpredictable rate. If you are like so many families there has been minimal, if any, discussions on what to do in case your elderly loved ones becomes incapacitated. At the advent of cognitive deficiencies, this is a conversation that has to take place immediately. You can no longer allow your elder loved one to think of themselves as totally independent and self-sustaining. In many cases, it takes a jolt, such as a dire medical diagnosis, to motivate seniors to have ‘the talk’; cooperating and sharing in the details of their financial assets along with their explicit wishes for how they want their affairs handled. In any event, you have to move into a ‘managed care’ mindset with deliberate immediacy. Think “Assets” and “Advanced Directives”! If there are siblings, a determination must be made regarding who will be the designated individual(s) for financial and medical related issues. If you are lucky, the senior will make this choice, thereby eliminating any debate or heated fellowship between siblings. These issues can be quite contentious in some families. ASSETS — Without fail, make sure that the assets of your loved ones are not solely in their name. Working together compile a complete list of each and every, bank accounts, investment accounts, mortgage, deed, insurance policies etc… Become the designee on bank accounts, mortgages, etc… Remember, if there is a another person legally on the account that individual has access to the asset. You can also use a ‘beneficiary’ designation on these assets whereby upon death, the designated person has access to the asset. PASSWORDS — Don’t forget about electronic access from sources such as bank accounts to websites such as Amazon. Identify and document everything. Now, let’s talk about Advanced Directives. ADVANCED DIRECTIVES — Legal documents that allow you to plan your own end-of-life wishes known in the event that you are unable to communicate those thoughts later. Living Will — An advance health care directive, also known as living will, personal directive, advance directive, or advance decision, is a set of written instructions that a person gives that specify what actions should be taken for their health, if they are no longer able to make decisions because of illness or incapacity. A living will is one form of advance directive, leaving instructions for treatment. The living will is the oldest form of advanced directive. A living will usually provides specific directives about the course of treatment that is to be followed by health care providers and caregivers. In some cases a living will may forbid the use of various kinds of burdensome medical treatment. It may also be used to express wishes about the use or foregoing of food and water, if supplied via tubes or other medical devices. The living will is used only if the individual has become unable to give informed consent or refusal due to incapacity. A living will can be very specific or very general. Consider the ‘living will’ as the fundamental building block of a comprehensive advance directive plan. But advanced directives have evolved well beyond the living will. Power of Attorney or Health Care Proxy — The next layer of the advanced directives foundation is the power of attorney or health care proxy, in which the person authorizes someone (an agent) to make decisions on their behalf should ever be rendered incapable of making their wishes known. This may or may not be the same person selected for financial responsibility. People are often encouraged to complete both documents to provide comprehensive guidance regarding their care. The appointed health care proxy has, in essence, the same rights to request or refuse treatment that the individual would have if still capable of making and communicating health care decisions. The primary benefit of this second layer of advance directives is that the appointed representative can make real-time decisions in actual circumstances, as opposed to advance decisions framed in hypothetical situations, as recorded in a living will. Medical Directive — The next widely recognized third layer advance directive is the Medical Directive. This is usually a six-page document that provides six case scenarios for advance medical decision-making. The scenarios are each associated with a roster of commonly considered medical procedures and interventions, allowing the individual to decide in advance which treatments are wanted or not wanted under the circumstances. So there you have it. A comprehensive approach you should action, ideally before a crisis occurs, to assure that the wishes of your elder loved ones are fulfilled. Using these tools helps to assure that there are few unknown issues regarding money and finance, property, or specific medical care requests. Although there are do-it-yourself options available, I strongly recommend working with an attorney that has a practice in estate law or eldercare to prepare and file the documents. Mistakes in the paperwork can prove to be frustrating and costly at a time when you need as much calm, order, and predictability as possible. April 16th is National Health Care Decisions day. It’s the date set aside each year to encourage everybody over age 18 to discuss and plan ahead of a serious illness. I encourage everyone to do just that. This is not a subject of exclusively for seniors. As the commercial goes “…life happens fast”! Completing advanced directives should be a requirement for everyone once we reach the age when we are considered an adult. Once completed, the documents should be reviewed every 24-months to remain consistent with the personal wishes that may change as we go through life. If you haven’t done so already, use April 16th as a day of action and complete your Advance Directives. Your loved ones will be glad you did.